The temple is related to the Tripurantaka legend where Shiva destroyed the asuras with a mere look. Since he started without pooja to Ganapathi the achchu of the chariot broke here hence (Achcu + iRu+ Pakkam). Once when a Pandya king was passing through this place, he saw a giant lizard (udumbu) running through the jasmine bushes and disappeared at the base of a Kondrai tree. This was because these lizards were used in war to climb up ramparts.The king ordered to cut the tree and while doing so, blood oozed out from it and they saw a beautiful Shiva lingam there. The king was very disturbed during the night due to his act and Lord Shiva appeared in his dream and told to build a temple at that place. The king arranged all the materials for constructing the temple and requested a sage to do so - Sage Thirinendhrathari – sage with three eyes (thiri – three, nendhra –eyes) – and continued his journey. 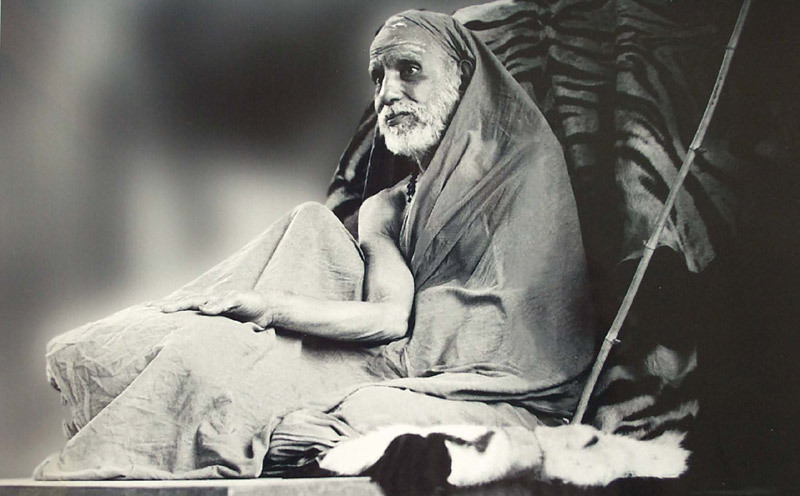 On his return he was surprised to see two main shrines and when he enquired, the sage replied that “one is Umaiyatcheeswarar who engrossed you whereas the other one is the Aatcheeswarar who engrossed me”. The scar that was produced when the King cut the tree is present at the back of the Aatcheeswarar. Sage Thirinendhrathari did penance here for long time after completing the temple and under the kondrai tree here, got the dharshan of Lord Shiva alighting from the divine chariot during the Thiripura samharam. This is being celebrated every year now as “Kondraiyadi Seva” during the seventh day evening of the Chithrai festival. and the other one is umayathcheeswarar with a round avudiar in line with the Rajagopuram with the majestic nandi. ( this sannidhi is seen on the left hand side of the pic below)Behind the lingam is Lord Shiva and Parvathi devi in human form in Marriage posture as stone sculpture. Sage Agasthiar got the dharshan of Lord Shiva’s marriage in 17 places and this is one of those places (In the Kalyana Sundareswarar temple at Nallur near Kumbakonam also Shiva and Parvathi are in marriage posture in the main shrine behind the main linga as sudai sculpture so also in the thiruvadigai veerattanam see my previous blog on this temple). The Umayatcheswarar sannidhi has a unique neighbor Srinivasa perumal with Lakshmi . Perumal standing on an avudiar probably to signify that siva and vishnu are but the same!! There are sannidhis for saraswaty and Pillaiyar with His consorts Sidhi and Budhi, Sundara moorthy Swamigal with Sangili Nachiyar and Pavai Nachiyar, Sekkizhar, Natarajar surrounded by Sivagama Sundari, Manicka Vasagar and Karaikkal Ammaiyar, Kala Bairavar with a Brahma Kabala garland of skulls are the other deities present in the inner praharam. Sage Agasthiar got the dharshan of Lord Shiva’s marriage in 17 places.I would like to list them (I have taken some effort to search and find 17 places in Tamil Nadu alone) as it will be useful for people to go to nearby temple and make marriage related prayer. I would edit the above list of 17 places where Sage Agasthiar got the dharshan of Lord Shiva’s marriage. i.e. Papavinasar,Papanasam has to be replaced by Sri Marundeeswara temple, Thiruvanmiyur. Only after marriage in due course of time, Siva gave his marriage darshan with Parvathi directly to Agathiyar in Papanasam, not during the marriage itself. The search for places where Agasthiyar got marriage darshan of Lord Shiva results into many more additional places including the the following temples. How is it given as 17 places?